In 2018, Tractor Supply not only celebrated the 10th anniversary of our Stewardship Program but also our 80th anniversary as a company. As we celebrated these milestones, we reflected upon our past growth and how far we’ve come. Tractor Supply Company has grown from a mail order catalog business offering tractor parts to America’s family farmers to become the largest farm and ranch retailer in the country. Over the past 10 years, Tractor Supply has more than doubled our store base, with nearly 1,800 stores. As our Tractor Supply store base has grown and impacted more communities across the country, it’s only natural that our Stewardship Program has grown as well. We believe being good stewards involves far more than minimizing our environmental impact. We know that our customers, team members, shareholders and other stakeholders care deeply about what companies do for their communities, for their people and for the planet. At Tractor Supply, we also prioritize the relationships we have with our team members, our customers and the communities we call home, and we are constantly looking for ways to give back. Our Board of Directors also understand the importance of being good stewards and preparing for the future. 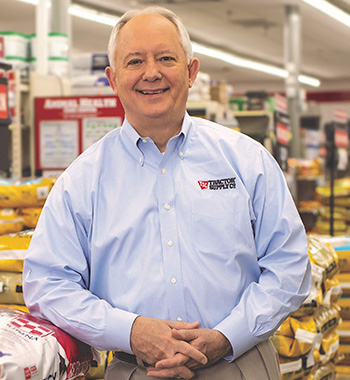 They regularly review Tractor Supply’s corporate governance policies to ensure that the Company is managed for the long-term benefit of our stakeholders. 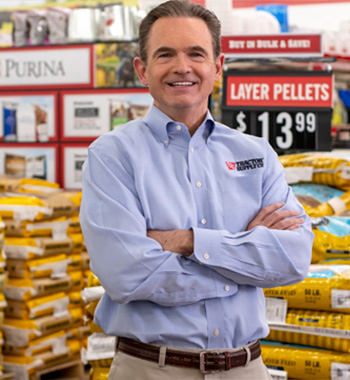 At Tractor Supply, we are proud of the growth both our company and our Stewardship Program have experienced over the past 10 years, and as we look to the future, we will continue to find ways to efficiently manage our resources and reduce our impact. To our Board of Directors, team members, customers, vendors and community partners who helped make our first 10 years of Stewardship initiatives so impactful, we say thank you.